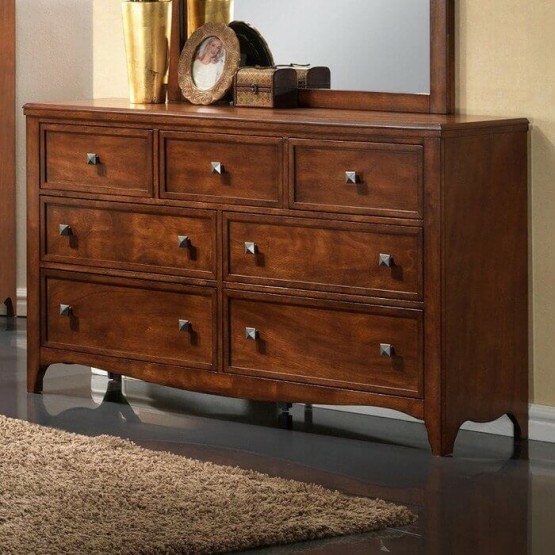 This multifunctional Auckland Dresser & Mirror Set would be a nice addition to your bedroom. This dresser has seven storage drawers that are great for storing clothes and linens. 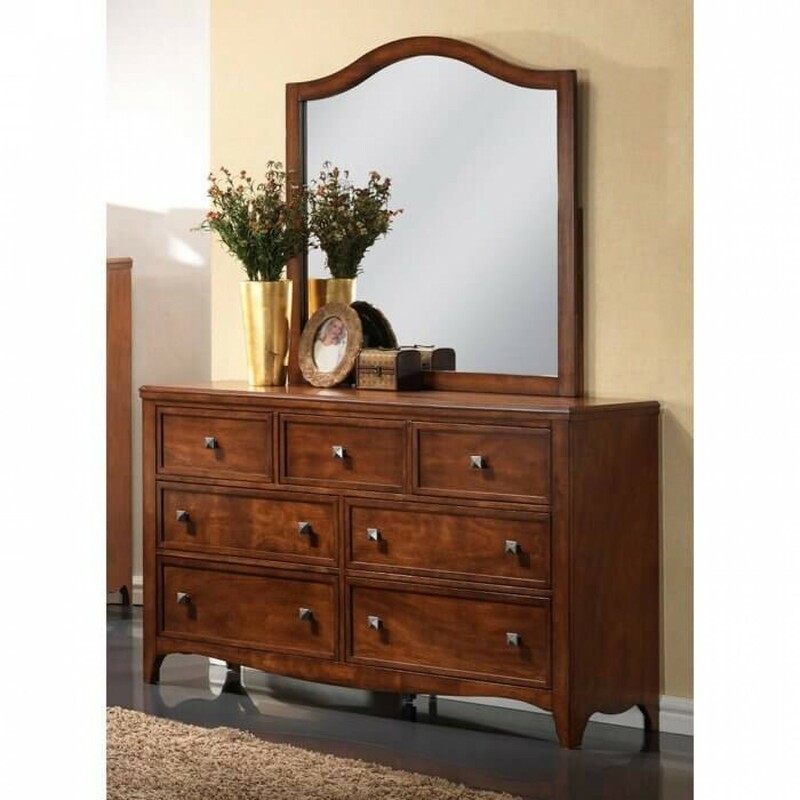 With a arched top and hardwood frame, this dresser mirror adds a bright accent piece to your bedroom. W59" x D16" x H34"
W39" x D1" x H39"